This week was the start of a new job for me. Since I have been so preoccupied with getting settled, decorating our home - inside and out - for fall has not been a priority. 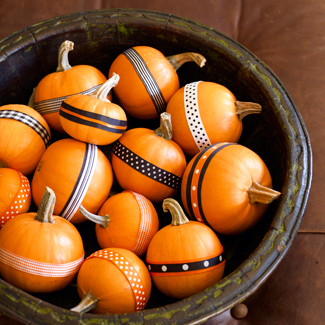 Although I haven't done much around the house, I have seen some great inspiring displays with pumpkins. Here are some of my favorites.